There are many reasons why we ride motorcycles. This includes the social aspects, the fashion, the feeling of freedom and other things that advertisers have been pounding into our heads for decades. For me, it is more about the skill and physical development, the technology and yes I really enjoy the social side of riding bikes as well. But I have found the definitive reason why many motorcyclists get addicted to their sport. It also explains the saying “If I have to explain, you wouldn’t understand” as related to why you ride a motorcycle. Those who ride get it, those who don’t ride, don’t get it. But what is “it”? Hopefully you can relate in some way to what I going to talk about because it can be a wonderful thing. Sometimes during a ride, everything seems to click and you seem to be in auto-pilot. This could be during a spirited rip down a twisty road, a perfect lap around your favorite track or a blast through some sweet forest trail. Your mind becomes so entirely absorbed in the activity that you “forget yourself” and begin to act effortlessly, with a heightened sense of awareness of the here and now, often called “being in the zone” or being in “video game mode”. This is a real thing. The Hungarian psychologist Mihaly Csikszentmihalyi has even given it a name for it: “Flow.” In fact, the flow experience has been called “The Secret to Ultimate Happiness”. Intriguing isn’t it? Riding a motorcycle can be scientifically proven to bring us more joy and happiness in our lives. In order for you to get into a flow state, you must see the activity as voluntary, enjoyable, and it must require skill and be challenging (but not too challenging). You should feel as though you have control and receive immediate feedback with room for growth. Interestingly, a flow state is characterized by the absence of emotion, a complete loss of self-consciousness. However, in retrospect, the flow activity may be described as gratifying and even exhilarating. I think this clearly describes good day on the bike. A growing body of scientific evidence indicates that flow is highly correlated with happiness, both subjective and psychological well-being. It has also been found that people who experience a lot of flow in their daily lives also develop other positive traits, such as high concentration, high self-esteem, and even greater health. The chart above illustrates the requirements to get into a flow state. Spend a little time studying this chart because it holds to key achieving flow. If you are like me, you occasionally get into the zone, but it is fleeting and you can’t always turn it on or off. Hopefully, by understanding how you can achieve flow, you can push yourself to experience it more often. The one flow event that I recall in recent history was when the wife and I were touring through Cape Breton on the Cabot Trail in Nova Scotia riding our Multistrada. During one section, I dialed it up a bit more than normal…OK it was a lot more than normal, in the sweeping turns. When we stopped later down the road to check out the view, the wife ask “Do you get high riding like that?” A couple things occurred to me. First, the answer to her question was “Yes!” I was feeling the flow. The second thing, I was probably riding a little too aggressive considering the bike was loaded with luggage and wife and we were riding unfamiliar roads. The horizontal line is your ability and the vertical axis is how much you are challenging yourself. The chart is subjective, it is how YOU feel about an event or situation. You can also apply the same concepts to things like your career, and even your personal relationships. You need some level of skill to achieve flow. Pure newbies will have to work their way up before they can achieve it. 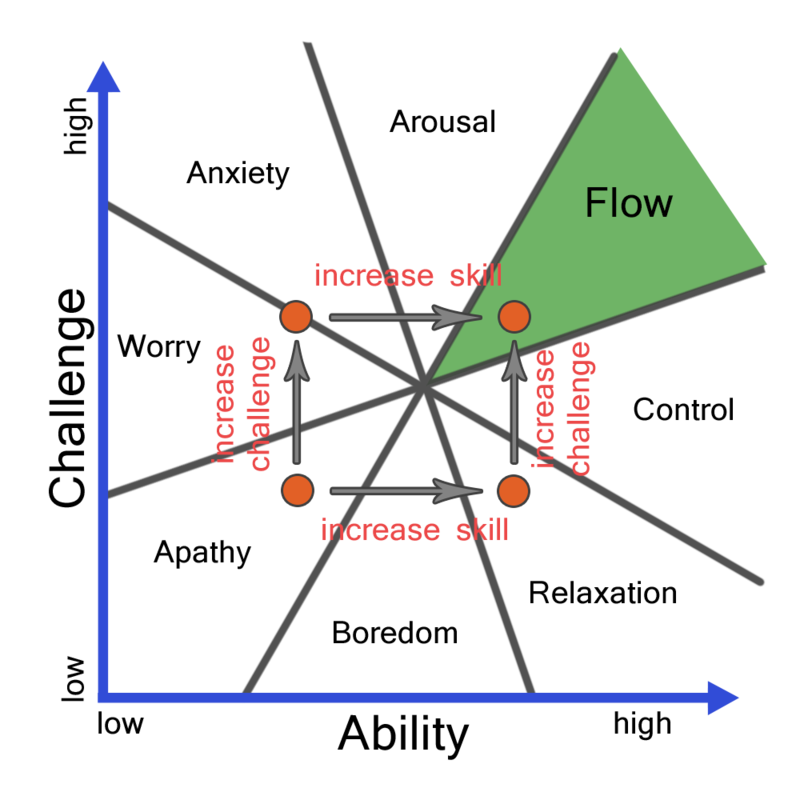 However, as your skills improve, so does the need to challenge yourself to get into and stay in the green zone of flow. The chart is relative to YOUR capability at this moment. What works for you may not work for someone else. If you are on a group ride, what might be an anxiety zone for some could be a relaxation zone for others. Notice the spot in the very middle. It doesn’t take much to move you into any of the other zones. It won’t take much of a change to get into the flow, and also not much to pop out of it either. Also notice that the more skill you have on the bike, the bigger the flow zone is. The left side of the chart is all negative emotions, while the right side consists of positive feelings. Of course we all want to experience positive feelings while we ride or motorcycles so the chart can help guide us to a better riding experience. The big take away for this is that, like many things, the better you get at it, the more fun it is. Notice all the good things happen when you have a high level of ability. I don’t think this means you have to be Ricky Carmichael or Valentino Rossi to have fun, you just need to be comfortable in your abilities on the bike and not ride over your head and get pushed into the anxiety (and danger) zone. So getting into the zone and experiencing flow can be a good thing on a motorcycle. I am not an expert on this whole flow thing, but I will put forward some ideas that hopefully can help you achieve it. During or after a ride, honestly ask yourself how you are feeling, and figure where you are in the chart. You can then see what you need to do; Increase your skill or increase the challenge. Of course you might have to decrease the challenge too if you are doing some crazy tough riding. We have two things we can vary, your skill and the challenge. Improving our skills is always a good idea, but that takes time. During a ride we can’t get instantly better, but what we can do is vary the speed and route. This is relatively easy to do off-road since it’s easy to ride faster (or slower), just turn the throttle and hang on (of course this isn’t really true but you get the point). Outside of the trail or track, it’s not always a good idea to do this since your safety and driving license may be at stake. You can also ride more challenging terrain. Or ride a slower bike. This maybe the truth behind the saying “It’s more fun to ride a slow bike fast than a fast bike slow”? 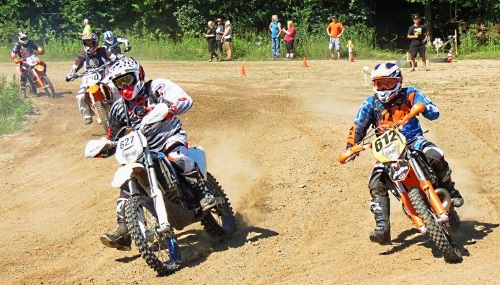 I ride a fair number of enduro and cross country races during the year. 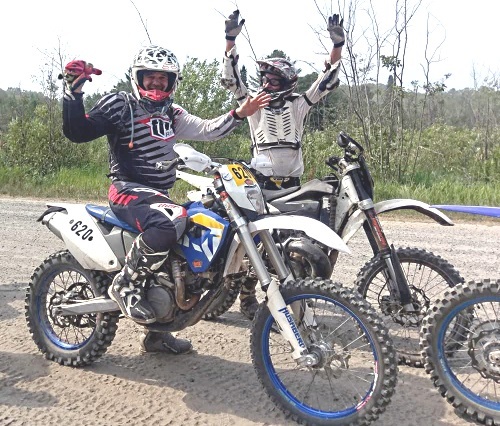 Most of the time I am riding in the anxiety or arousal zone because that the nature of racing, you are pushing yourself to the limits of your ability, which hopefully is higher than the other guys so you finish in front of them. When I watch the pro riders blast by like I am not even moving, it’s obvious that they must be enjoying the flow. Can I get there? Can you get there? I’m not sure about that, but one thing is for certain, if you don’t try you probably won’t get there. Practice getting into the flow and ride faster, safer and have more fun. If you follow motorcycle racing, especially motocross or supercross, watch a post race interview and look for some of the phrases like “I was just having fun out there”, or “I really felt dialed in”. These guys had the flow. On the other side, you will hear things like “I was struggling with bike setup” or “I didn’t feel comfortable all day” which means they couldn’t get into the flow. These guys are pros, they ride their bikes all day every day and they struggle with getting in the zone, so don’t be disappointed if you have a difficult time getting there. So which riders ended up on the podium? The guys having fun or the guys who were struggling? This is a trick question since they usually only interview the riders who are on the podium, but both responses can be for winners and losers. Being is the flow is more enjoyable but it doesn’t always make you faster. Check out this video on TED which inspired me to write this blog.